Stanley Yavneh Klos is an author, independent scholar, adjunct professor, entrepreneur, and former Italian Basketball Association player. Stan’s education includes a BA in American Studies, BS in Zoology, MA in Rhetorical Theory & Historic Public Address and a Ph.D. Candidacy in Communications and Marketing. He attended, respectively, St. Peter’s College, Idaho State University and The Pennsylvania State University. 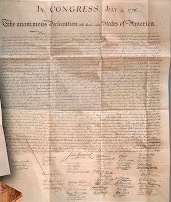 In 1983, upon the discovery of 18th Century Philadelphia shipping records in his attic, Stan began to research and exhibit primary source documents. Stan has authored numerous publications while assembling rare primary source collections that have headlined a plethora of universities, national historic sites, libraries, and museums special exhibits. His most recent exhibits were for the Louisiana Bicentennial Celebration at the state capitol April 30th – May 6, 2012 and “America’s Four Republics: The More or Less United States” headlined at the Annapolis Continental Congress Festival November 26-28th, 2012. Stan has keynoted numerous special events including the Franklin D. Roosevelt American Heritage Center Museum’s grand opening and the 2003 re-entombment of First Lady Martha & President Samuel Huntington. His work has appeared in hundreds of print and digital publications including History Channel's Brad Meltzer's Decoded, The Declaration of Independence, U.S. News & World Report 2006 cover story, “Washington? Get In Line" & the Discovery Channel’s “Unsolved History: Plots To Kill Lincoln.” He has authored five books, President Who? 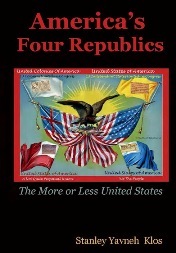 Forgotten Founders; The Rise of the U.S. Presidency and the Forgotten Capitols; Happy Birthdays USA, Economic Home Runs, and America's Four Republics: The More or Less United States. Stan is an avid real estate historic preservationist who has re-developed 32 historically significant properties ranging from Vaudeville theaters to Revolutionary War Taverns in five states. He is a co-founder of various historic pursuits including the James Monroe Birthplace Commission and Dinosaur Safaris, Inc., in Shell, Wyoming which unearthed five articulated dinosaurs from the Jurassic period. In 1999 Stan established an innovative internet education company, Virtualology.com which, as a survivor of the dot com crash, enjoys over 500,000 pages views a day. As a real estate entrepreneur he acquired RE/MAX of Pennsylvania n/w expertly managing a marketing mix that increased yearly commission revenue from $240K to $36 million in 12 years. Stan participated, as a Regional Owner, in the executive mastermind that expanded RE/MAX into the world’s largest real estate entity. Stan is married to Dr. Naomi Yavneh Klos the Director of University Honors, Loyola University, New Orleans. Together they have 12 children.